Are you afraid of baking gluten free bread, with and everything? It’s okay. This is a safe place. You can tell me anything. Have you ever done it? Baked gluten free yeast bread? If not, start by reading my advice about getting your yeasted dough to rise. This here, it’s your motivation. Whatever you do, though, don’t miss out. It’s such a nice way to pass the time. It’s romantic! And then there’s the eating. These crispy-on-the-outside, soft-on-the-inside little gluten-free bread snacks really hit the spot. 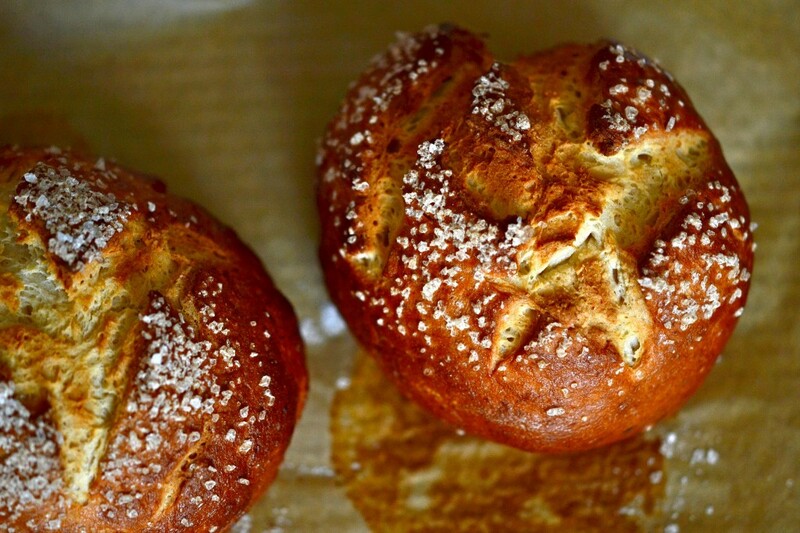 Hey, remember a while back, when we made Gluten-Free Pretzel Rolls? These bites use the very same dough, so go ahead and use that recipe. 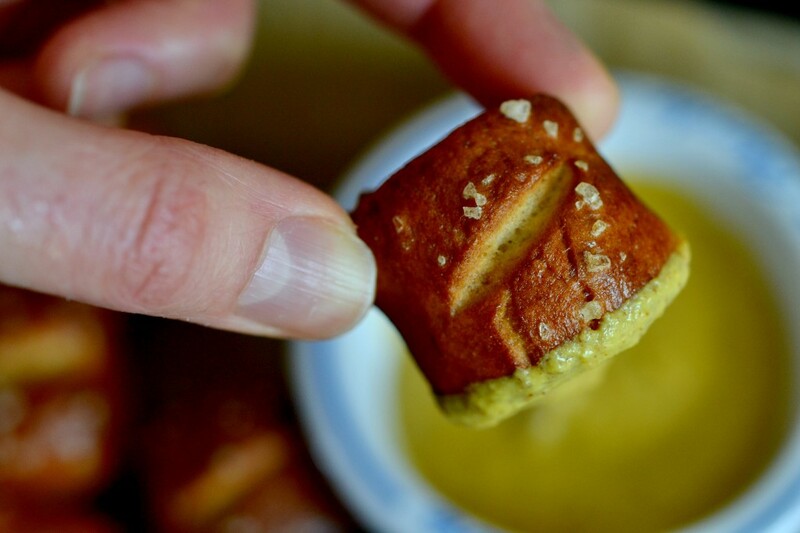 We’ll talk all about how to jury-rig it into these little gluten-free bread pretzel bite snacks. The dough is kinda wet, especially since you shape these bites after the dough has risen. Just dust the outside liberally with extra flour, and flour your hands, too, while you’re at it. Make a cylinder. And cut into bite-sized pieces. Score the tops (not too deep now). Sprinkle with coarse salt. Lots of coarse salt. Bake until brown. Gorgeous. Are you worried? I know how that goes. I get worried too. But I’m here. We’ll hold hands and braid each others’ hair (mine will be a challenge, but you’ll persevere), make each other coffee just how we like it, and wait for our dough to rise. Line rimmed baking sheets with parchment paper and set them aside. 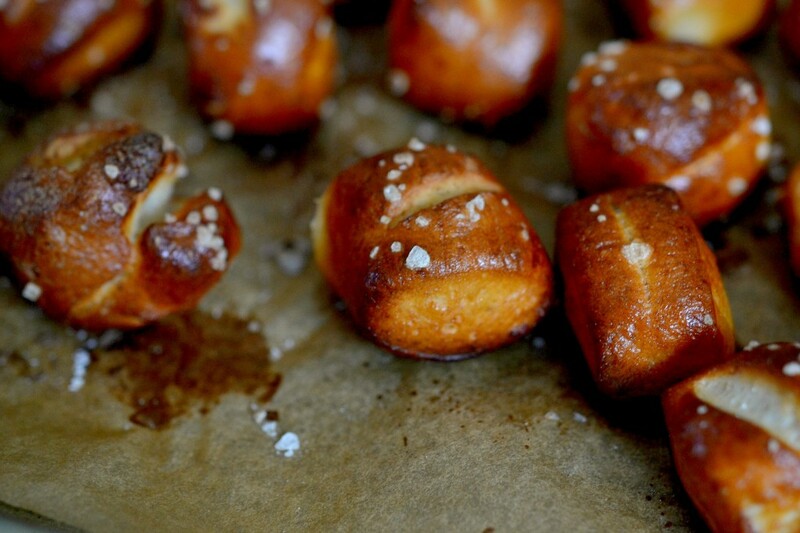 Follow instructions 1 & 2 in the Pretzel Rolls recipe. Sprinkle the dough with water and cover with plastic wrap. Place in a warm, draft-free environment and allow to rise until just about doubled in volume (about 30 minutes). When the dough is nearing the end of its rise, preheat your oven to 375 degrees F, and place place the baking soda bath (6 cups water + 1 tablespoon baking soda + 1 teaspoon kosher salt) in a large heavy-bottom pot on the stovetop to boil over high heat. Once the dough is done rising & while waiting for the baking soda bath to boil, shape the dough. Turn the dough out onto a lightly floured surface. Sprinkle liberally with extra flour. 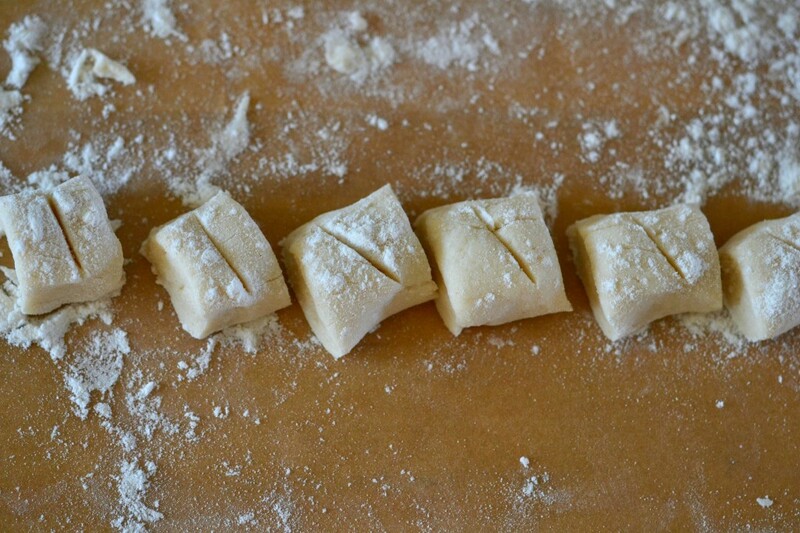 With a floured bench scraper or knife, divide the dough carefully into 6 equal parts. 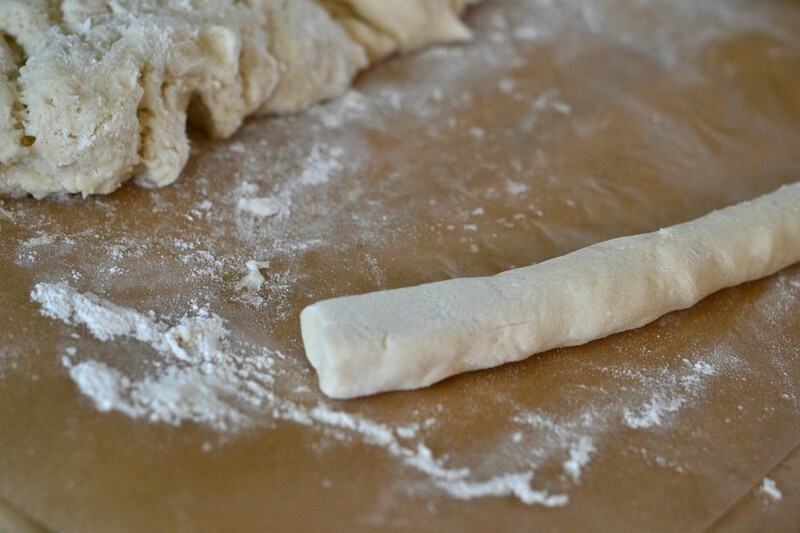 With well-floured hands, roll each piece of dough on the floured surface into a cylinder about 1 inch in diameter (see photo). With a sharp knife or bench scraper, slice each cylinder into bite-sized snackie pieces (about 1 1/4 inches long). Dust the tops of all the pretzel bites liberally with more flour. 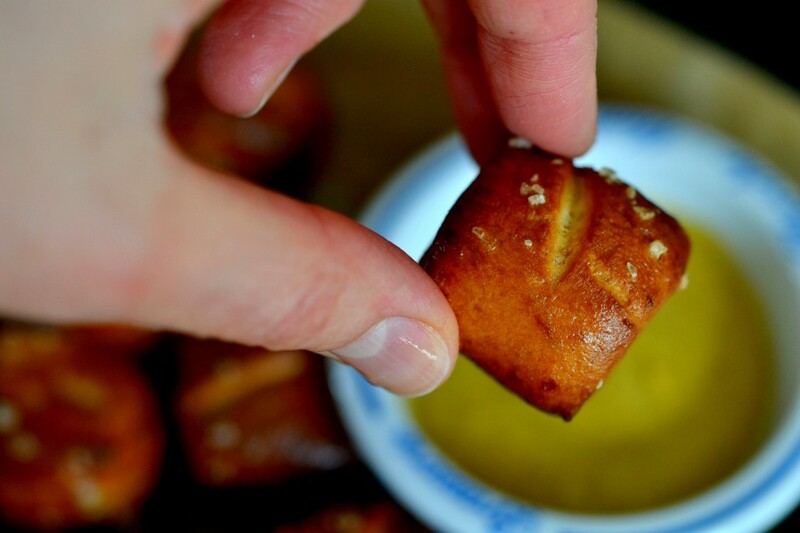 With a sharp, floured knife, score each pretzel bite by cutting into the top about 1/8 inch deep. 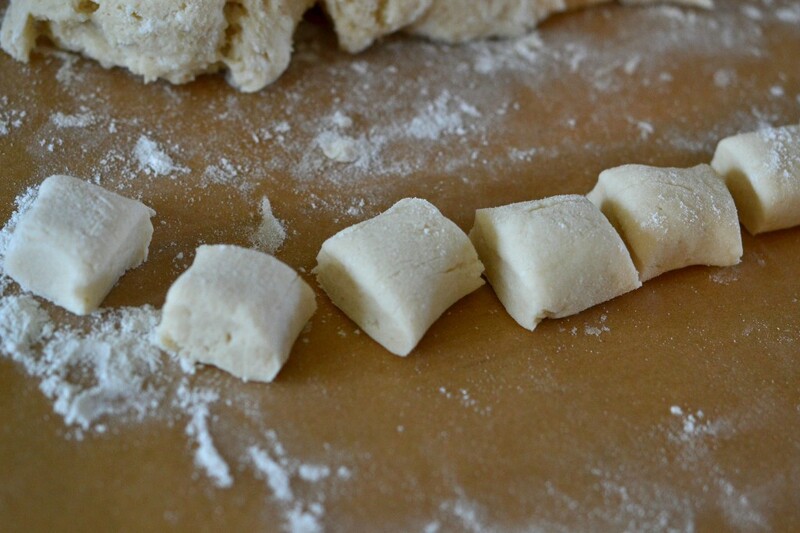 Place as many bite-sized pieces of dough into the boiling baking soda bath as will fit comfortably. 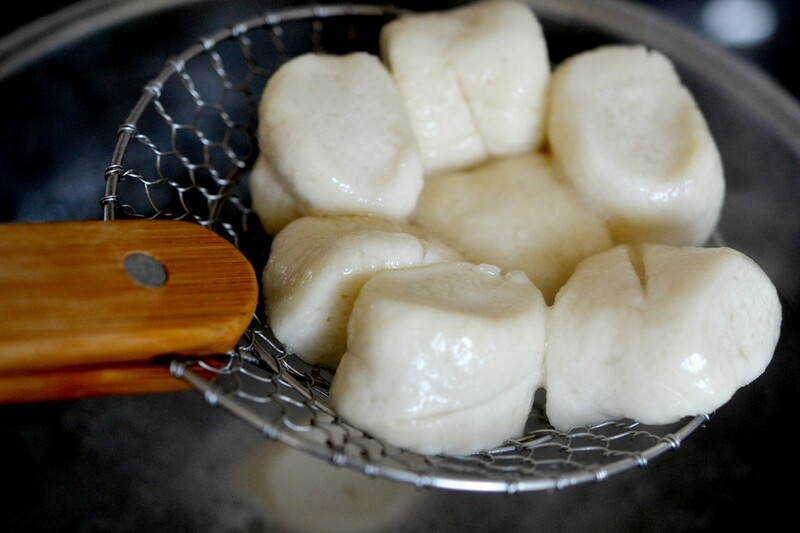 Allow to boil for about 30 seconds on one side before gently flipping the bites over. Allow to boil for another 30 seconds. 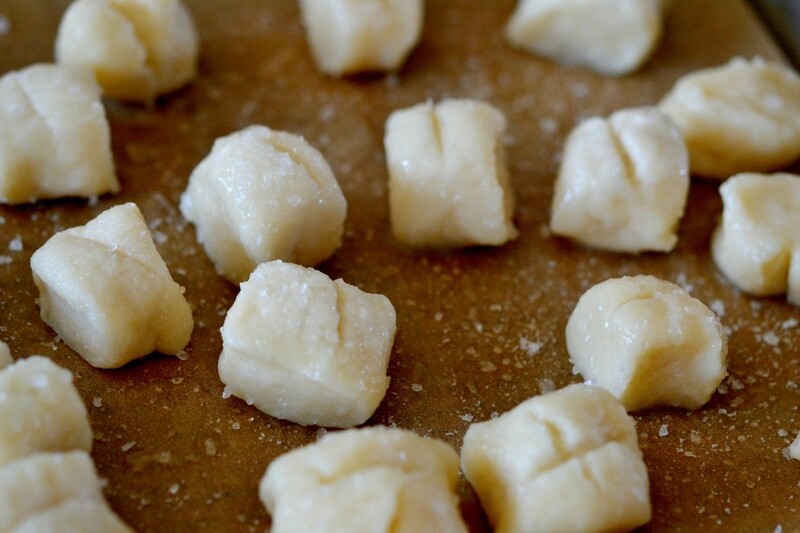 Remove the bites with a strainer and place them, cut side up, on the prepared baking sheets. Sprinkle with coarse salt to taste. Place the pretzels in the center of the preheated oven and bake until golden brown all over, about 30 minutes. Allow to cool on the pan before serving. My husband is SO happy! I made the pretzel bites tonight and he loves them. Now he wants me to try making a “pretzel dog.” Won’t happen tonight, but maybe soon. Thanks so much! These look so good! I’ll have to give them a try! Maybe both the bite size & the large twisted ones! Thanks, Nicole! Oh man, I wish I liked to bake. It’s such a bummer to be allergic to gluten and to actually hate baking. These pretzels look so yummy. Actually everything you bake looks really good. I used to help my mother bake when I was little but I don’t enjoy it now. Something about the clean up just makes it seems not worth it. But thank you for the wonderful photos, I drool over them. 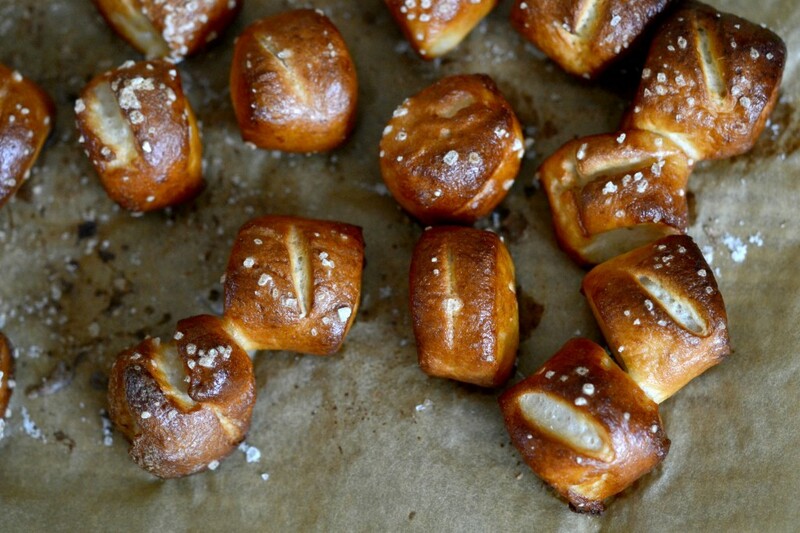 Is this recipe good for big pretzels too, if I was willing to twist them up? Nikki, my luv, I am going to make these this weekend. I am travelling right now and I just was agonizing over Annie’s Pretzels in the airport. Seriously, somebody needs to come up with some type of food for people with gluten intolerances in the airports. There is NOTHING but a few measly salads for the love of…. And they serve nothing on the planes anymore. SHEESH. Rant over, ok, not really but you know what I mean. Eating GF away from home is undoubtedly the biggest challenge. Airports are horrible indeed. And you’re marooned there! Wish I could bring you some pretzel bites. ;) Have a safe trip, my friend. You truly are my hero! I am saving up for a proofer. I just found out Brod & Taylor is based only a few towns away! Maybe I can show up on their doorstep and beg? These look so good! My son eats GF and we just recently also eliminated milk…which I’m still navigating. Do you think there is a way to make these with liquid lactose free milk? You definitely can’t use a liquid to substitute for a powder, assuming you’re meaning to substitute for the buttermilk blend. If you’re going to substitute, it will need to be a powder, and something with protein and (ideally) fat. Maybe soy powder? You’ll have to experiment! When I read about boiling them, I just knew it was authentic.